This venue comes with everything you need, including many bookings for 2019 already to just take off with instant business! 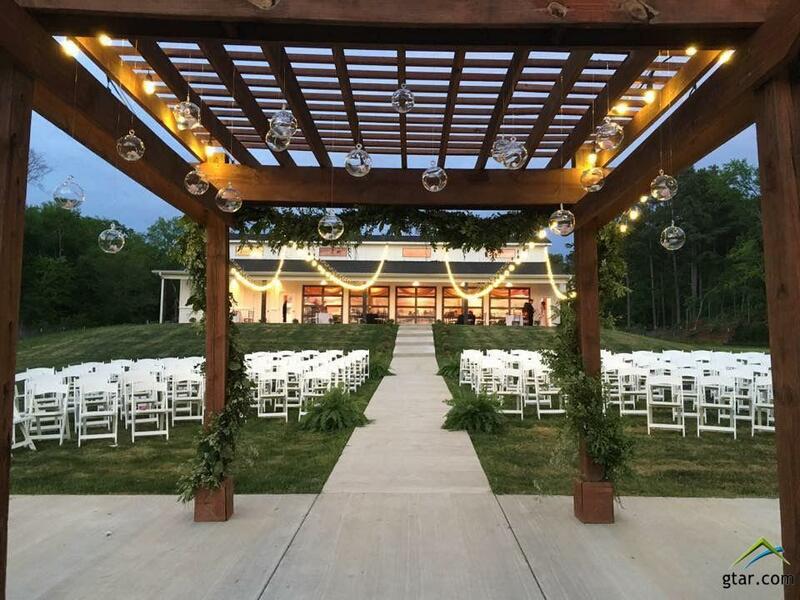 Magnificent spot for sunset events overlooking miles of trees and rolling hills! 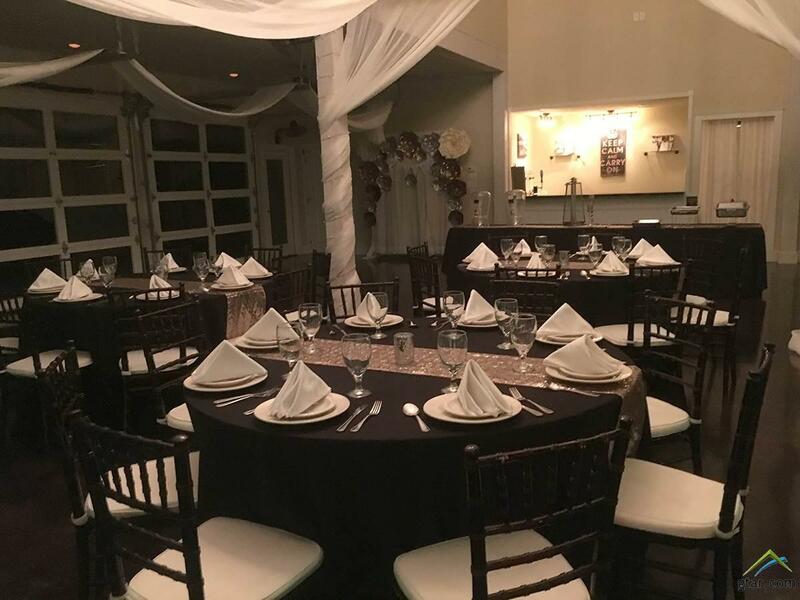 This event center is already booked well into 2019 with weddings, corporate events, Quinceaneras, Family Reunions, and many other events for up to 150 seated or 250 mingling guests! 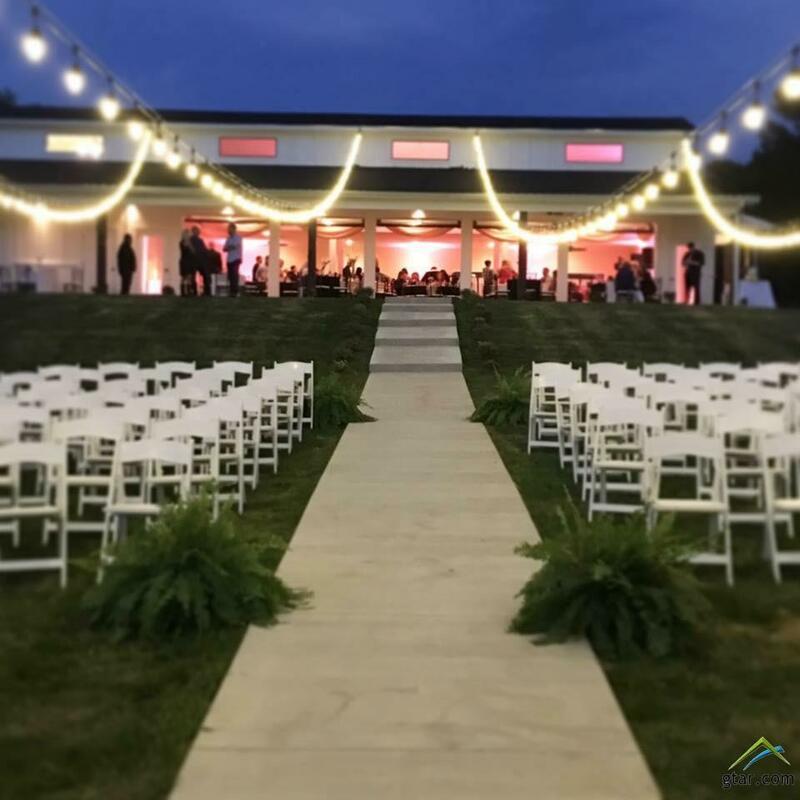 A wall of 5 roll up doors across the back of the event center along with a deep porch allows for events to flow inside and outside! Diningware and glassware, indoor and outdoor seating, tables, serving pieces, some decor all convey. Fixtures include a bar with 4 sinks, Kegerator and prep tables. Kitchen has a commercial dishwasher, ice machine, washer and dryer for linens, refrigerator, triple sink & microwave. Wildflowers surround the place and go down the hill in the spring! Large gravel and compacted soil parking area. 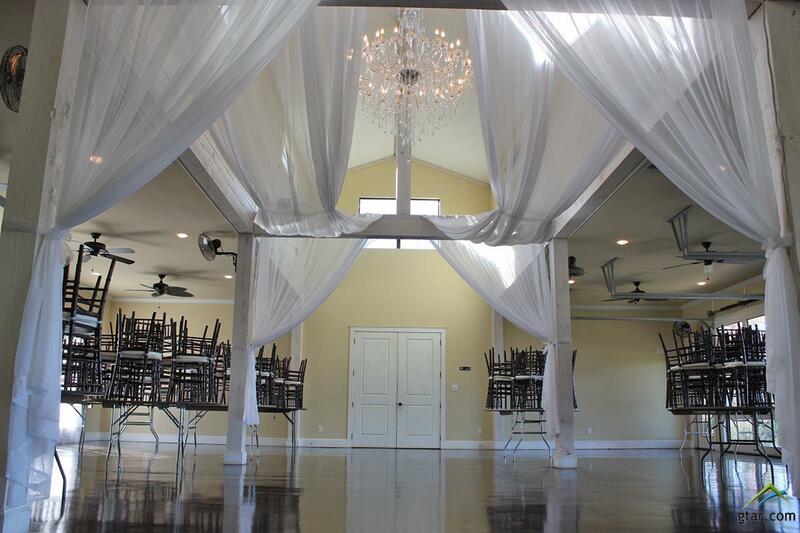 This would make a great dancehall/bar or with minor adjustments a great home! Listing provided courtesy of Claudia Carroll of Keller Williams Realty-Tyler. Listing information © 2019 Greater Tyler Association of REALTORS® Multiple Listing Service.